Import-only 2009 five CD box set, initially compiled to celebrate Michael Jackson's historic return to the stage in London. 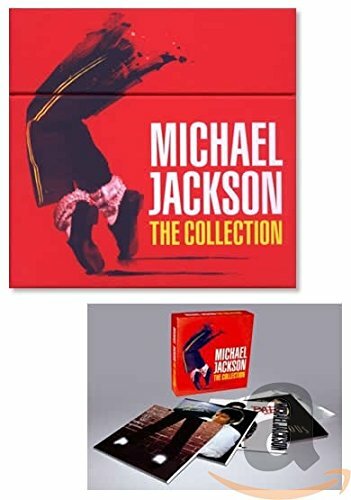 The Collection is a special set containing five mini LP sleeve editions of his incredible studio albums in one lift-off box: Off The Wall, Thriller, Bad, Dangerous and Invincible. Includes a booklet that contains album info, tracklistings, credits and more. Michael Jackson: The Collection now serves as a celebration of his life and the music he leaves behind.